Transportation, job growth, affordability—these are just a few of the elements that will likely experience a substantial shift when Amazon’s headquarters come to Long Island City and Crystal City, with the corporation’s promise of a generous boost to the local economies. Real estate may feel the biggest impact of all. How are residents responding? It’s a mixed bag, according to Robert Whalen, director of Sales in Long Island City for Halstead. “While many residents have been thrilled with the news, some have expressed concern and anxiety about what the addition of Amazon will mean to the neighborhood in the intermediate- and long-term,” says Whalen. “I think the voices of dissent are healthy, and I’m hopeful that the protests of today will lead to constructive and engaging conversations among various stakeholders tomorrow and beyond. “I think…that community engagement will drive positive actions by Amazon, the city and the state, and I hope there is greater recognition and understanding regarding the tremendous upside potential,” Whalen says. What are the primary concerns? For one, affordability impacting current residents’ ability to remain in these metro areas—experts fear that buyers and renters will be priced out. 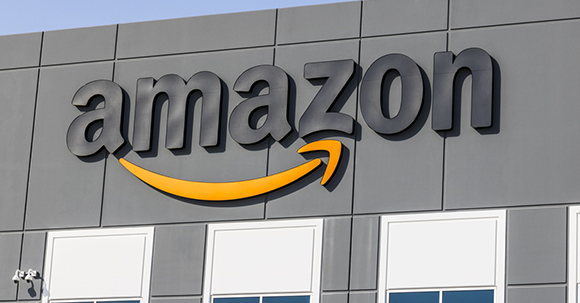 These apprehensions are largely experience-based—critics note that low- and moderate-income individuals residing in areas in which Amazon is based, such as San Francisco and San Jose, Calif., as well as in its home base, Seattle, are struggling to afford housing in the surrounding areas of their workplaces, according to U.S. News. Looking at the impact Amazon had on Seattle, home values have spiked, pricing out even moderately affluent residents. The median home value has increased dramatically by 73 percent to $739,600 over the past five years, according to Zillow data. A look at the current housing markets of LIC and the D.C. metro area show similar bustling trends that could lead to affordability and inventory challenges if too much strain is put on these locales. According to CoreLogic data, over the last year, New York City has already seen a price increase of 1.7 percent, while the Washington, D.C., metro area saw a 3.2 percent increase. Additionally, single-family rents have increased 2.5 percent and 2.3 percent in the NYC and Washington, D.C., metro areas, respectively. As for inventory supply, NYC is at five months, while Washington, D.C. is at three, compared to the nationwide average of 3.5 months. In comparison to the national median home price of $225,000, NYC has a median price of $470,000, while the Washington D.C., metro area has a $410,000 median price. While these markets are currently thriving, how far can growth go before becoming a burden? For already high-priced markets, such as the D.C. metro and LIC, affordability could be stretched past its comfort zone in the near future. According to Zillow’s housing prediction for 2019, the 30-year fixed mortgage will be at 5.8 percent by year-end, and commutes will worsen as job creation continues to concentrate in urban areas—a possibly unfounded move that expects a young workforce to reside in city environments, instead of the suburbs in which they are largely flocking to. “The news stirred up fears of escalating housing costs and concerns that the move would compound the already intense traffic issues,” says Aleksandra Scepanovic, managing director of Ideal Properties Group, based in NYC, adding that others believe Amazon’s emergence will lead to beneficial growth in these areas. The biggest winners, according to Zillow? The cities that lost out on Amazon’s headquarter picks. The HQ2 search helped grow awareness for the potential economic growth in these cities, bringing in more investors and high-tech jobs that would normally be priced out from more traditional tech centers. According to REALTOR® Magazine, the National Association of REALTORS® (NAR) research team predicts that the Washington, D.C., metro area will need an additional 1,200 single-family and 1,050 multifamily permits on average each year over the next 10 years in order to maintain its job growth to permit ratio in the area. If there is not an increase in new-home construction, NAR says home prices would inevitably rise in order to meet the demand. With a shortage in inventory and skyrocketing home prices, those pondering home-buying may stick to renting to save, especially as mortgage rates rise. Are there enough planned units to support a growing population as Amazon calls for skilled workers for its headquarters? Experts predict the move could, in fact, spark a sorely needed boost to inventory. A RENTCafé report states increases in apartment construction in LIC and Crystal City are very plausible. At the moment, there’s a high occupancy rate of 98.2 percent in LIC, leaving little room for the incoming Amazon staff. There are, however, an estimated 15,400 units being built, and LIC is known for bouncing back—after all, the neighborhood added the most new apartments after the recession of any U.S. city, a booming 12,533 units. In Crystal City, the occupancy rate is slightly lower, at 94.7 percent—even below the national level of 95.2 percent—but only 2,100 units are either under construction or have been planned. Transportation in the D.C. metro area may, however, help alleviate the burden, as employees could easily access the $205,000 rental units throughout the metro using the area’s transit systems. There’s already been a shift in the LIC and Crystal City metro areas. Some zip codes have seen an instant reaction to the news. Redfin reports that agents have seen a spike in viewership of homes for sale in the Crystal City and Long Island City regions on Redfin.com. For the week ending November 11, views of listings in Long Island City increased by 1,049 percent, compared to the same time period last year. For Crystal City listings, online views were up 217 percent year-over-year. “Traffic at open houses is up two, three, four times what it was prior to the announcement,” says Whalen. “Requests to view properties by appointments are up. The phones have been ringing steadily. Deals are getting done faster than before, often times with multiple offers at or above the asking price. Owners who have been thinking about selling should get in touch with their brokers and consider listing sooner rather than later to take advantage of the frenzy of interest, and buyers should work with local experts who can help them navigate the different opportunities in new development and in the resale market.